Mas Oyama. Will Another Man Ever Fight 300 Fights One After the Other? 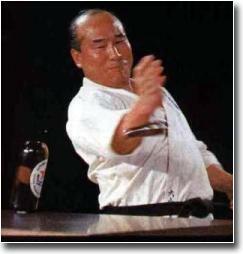 Sosai ‘head of organization’ Mas Oyama the founder of the world renowned 'hard' Karate style of Kyokushinkai was born in the town of Gimje in western South Korea in the year 1923. His family heritage was 'Yangban' the traditional Korean ruling classes. Very early in his life - during the Japanese occupation of his country he was sent to rural Manchuria (China) to live with his sister. It was there at the age of 9 that he first trained in martial arts with, as the story goes, farm workers. Japanese Karate had been established for less than 2 decades when Mas Oyama came to live with his brother in Japan in 1936. What we know today as Karate styles were just beginning to emerge from the original forms introduced from Okinawa. In the 1940’s Oyama joined the dojo of Shotokan Karate master Gichin Funakoshi and his son Yoshitaka (Gigo) at Takushoku University. He also trained in Goju Ryu Karate achieving Dan ranks in both styles. Having trained in the big schools of Japanese Karate, he set off on a one-man mission to find the essence of the art for himself. Still in his early twenties he twice went alone to remote places to live and train. 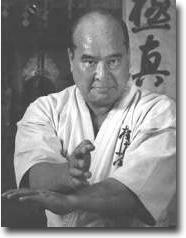 The intensity of training undertaken by Mas Oyama during his solitude could be dismissed as far fetched Karate stories but before long the world would see proof! After years as a recluse, the skills he gained from the hardship of living alone were put to the test. Oyama soon gained a reputation as a man with incredible ability - and no wonder. He was prepared to exhibit the strength of his technique and accept any kind of challenge. He gave many public demonstrations across Japan showing two finger push-ups, smashing rocks with his bare hands and breaking the tops off bottles with his Karate chop. His fights with live bulls are the feats he is most famous for. He had around 50 encounters with bulls many of which were photographed and filmed. Some of the beasts died instantly at his hands. Many had their horns chopped off or ripped from their head. Oyama toured the United States in the early 1950’s. There he built a loyal following by repeating these feats and taking no-holds barred challenges. 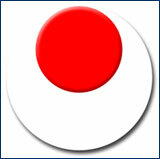 Back in Japan Oyama established his first Karate Dojo in 1953. Later in 1956 the dojo moved to a permanent location and the following year it officially opened as the Kyokushinkai which translates as the “Home of Ultimate Truth”. Kyokushinkai Karateka find the essence of their art through the intense training and testing pioneered by the founder Mas Oyama. The incredible 100 Man Kumite test unique to this style shows that Kyokushinkai is always on the line ready to prove itself. Oyama himself completed a 300 Man Kumite Test in what surely must be one of the most impressive feats of physical endurance ever undertaken by a human being. To date no-one has come close to repeating this. Mas Oyama documented his work in writing. 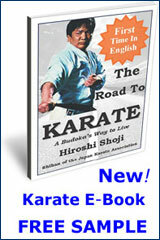 The highly influential books “What is Karate?” first published in 1958, and the follow up “This is Karate” are among the finest visual records of Karate-do. They are as inspirational today as the day they were released. 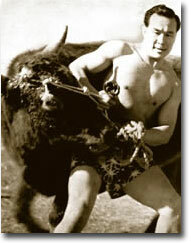 Sosai Masutatsu Oyama 10th Dan died in 1994 of lung cancer - he was a pioneer budoka, showman and author. His name is mentioned anytime Japanese Karate is discussed in earnest. A movie based on the life of Mas Oyama was made in 1975 starring Sonny Chiba. 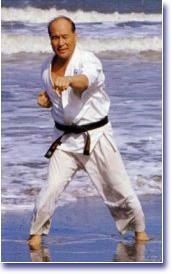 His legacy to the world is a Karate style that is without peer - Kyokushinkai - The Strongest Karate!